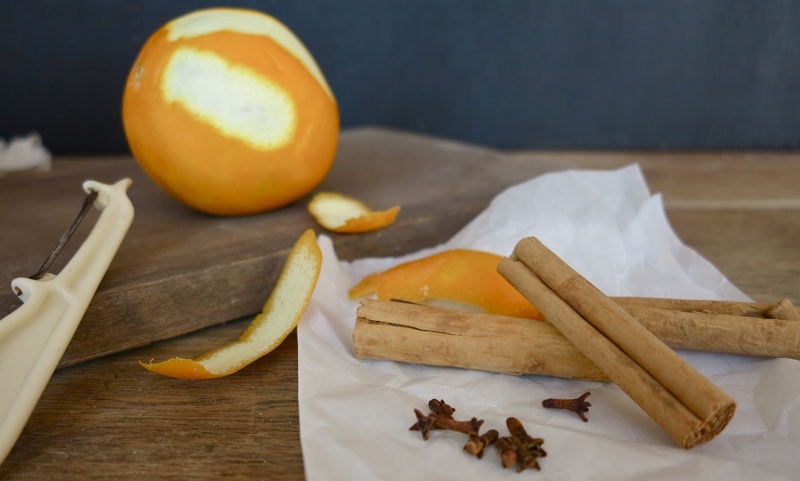 We all love the smell of cinnamon and other herbs during the holidays. Here are a few ideas to give your home that holiday scent. You’ll need a small crock pot and some dried herbs and spices. Fill the crock pot with 6 to 8 cups of water and add 4 whole cinnamon sticks, the rind of a fresh lemon or orange, 10 whole cloves and 1/2 cup of dried lemon balm. Use a low setting for the crock pot, and replenish the water when needed. This will fill your home with a wonderful scent. Add 6 to 8 cups of water to a crock pot and add 3 sprigs of rosemary, 2 whole cinnamon sticks, 10 whole cloves, a handful of dried rose petals, 2 bay leaves, one teaspoon of ground nutmeg. Set the crockpot on low heat and cover. As the water simmers it will release the most wonderful fragrance. Add water as needed. This is nice for an open house or a party. Here’s one for those who don’t have a crock pot. I use the natural light brown coffee filters. Spread several of the filters out and add a few pieces of broken cinnamon sticks, whole nutmeg, several cloves, dried basil, lemon balm, or dried rosemary. Just make sure each filter has a tablespoon or more in it. Tie up the filters with green or red ribbon. You can hang them high up on the tree, tuck them behind books or sofa pillows. They’ll smell very pleasant for several days. Here’s a quick one: Combine 1/2 cup of baking soda, 1 tablespoon of lavender buds, and 1 tablespoon of dried rosemary in a ziploc bag. Shake well, and sprinkle it evenly over the carpet. Wait ten minutes and vaccum.. Banishes that musty smell or pet odor. You’ll need a fresh orange, several cloves and about one heaping tablespoon of ground cinnamon. With an icepick or sharp knife, poke several holes in the orange. Insert the whole cloves, and roll the orange in the ground cinnamon. What a scent !. Place the orange in a shallow bowl or saucer and leave it in the counter or on the top of the fridge. It will make the kitchen smell so good. Here’s another idea. Fill little tulle bags with dried herbs. You can buy the tulle bags at the Dollar Tree, six in a package. I like the white ones for the holidays. In a small bowl, add red or pink rose petals, some lavender buds, 3 tablespoons of dried peppermint or spearmint leaves. Mix this gently, and fill the tulle bags with the dried roses/herbs. Tie the ends up and place the sachets in a pretty glass bowl. The Etsy Store has handmade sachets, culinary herb teas and culinary cooking herb blends. Organically grown, dried and packaged with the utmost care by the people of Mystical Magical Herbs. Great prices and fast shipping.